We arranged for a shuttle bus to the conference venue every morning from Wednesday to Friday. 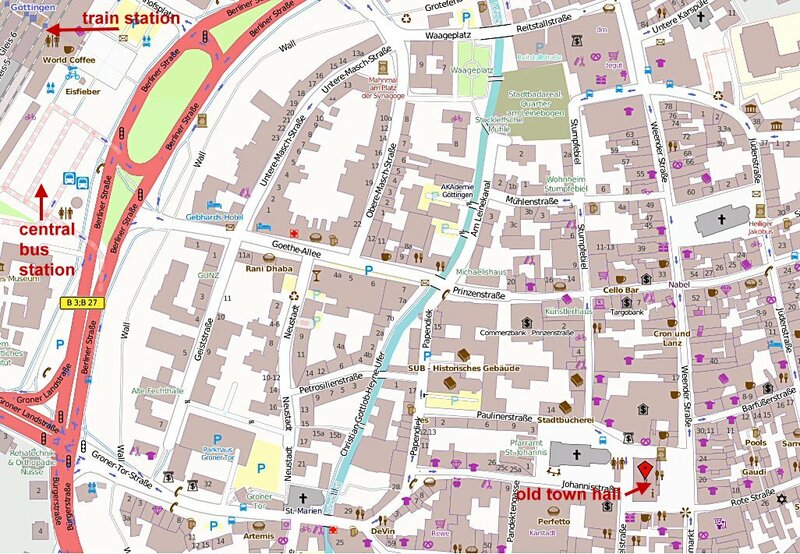 The Welcome Reception takes place at the Old Town Hall (Altes Rathaus, Markt 9) in the city center of Göttingen. 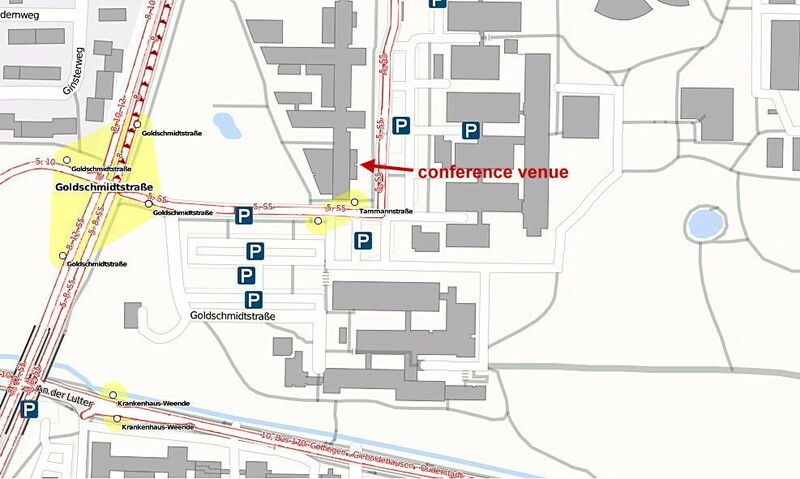 The German Conference on Bioinformatics 2013 will take place at the Faculty of Physics, Friedrich-Hund-Platz 1, 37077 Göttingen, on the North Campus of the University of Göttingen. 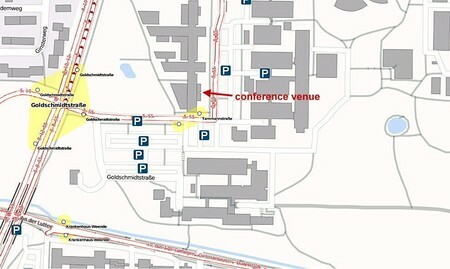 Conference talks will be held in lecture hall HS1. Workshops will take place in lecture halls HS1, HS2, HS3 and HS4 (see Program for details). Posters are exhibited in the foyer of the Faculty of Physics. From the city center to the Conference venue it will take you about 20-25 min on foot. - or no. 8 (direction Weende/Ost (NOT Papenberg)) and get off at bus stop Goldschmidtstraße. - no. 8 (see above) or no. 12 (direction Holtenser Berg) and get off at bus stop Goldschmidtstraße. Bus no. 8 and 12 leave at Bahnhof A, bus no. 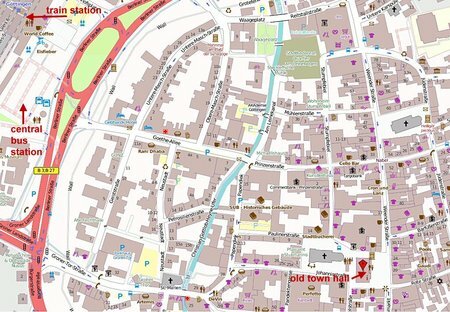 51 at Bahnhof D.
From both bus stops walk to the Faculty of Physics (direction will be signposted). can be found at the GöVB homepage or here. can be bought in the bus, but only in cash. You can either buy a single ticket or a "Viererkarte" which can be used for 4 rides (or persons). Day tickets, group tickets or weekly season tickets can also be bought in the bus. Most people in Göttingen prefer to travel by bike, because it is very convenient in a small university town. 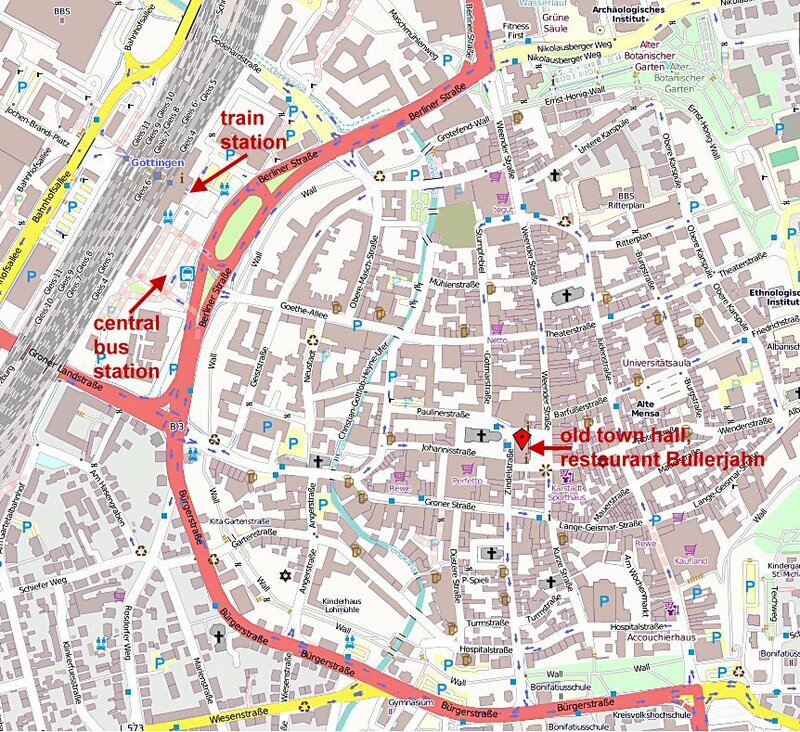 It might be useful to have a bike already on your first day in Göttingen.